For me, my pets are like family and I want to treat them that way. This not only means giving them a good place to sleep (usually my bed! ), attention, and good food to eat. This means that not only do I feed my dog, Pooka, high-quality food such as CESAR® Dry Filet Mignon with spring vegetables. An important aspect to feeding Pooka is not only feeding her great food, but also keeping that food fresh. 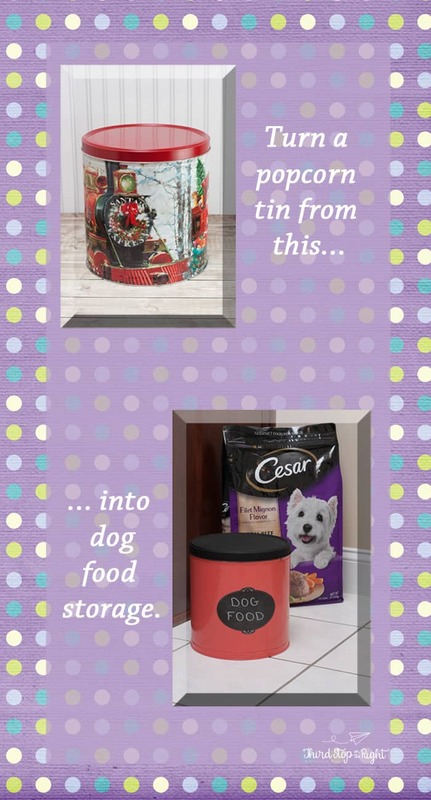 This is why I decided to make a dog food storage container. 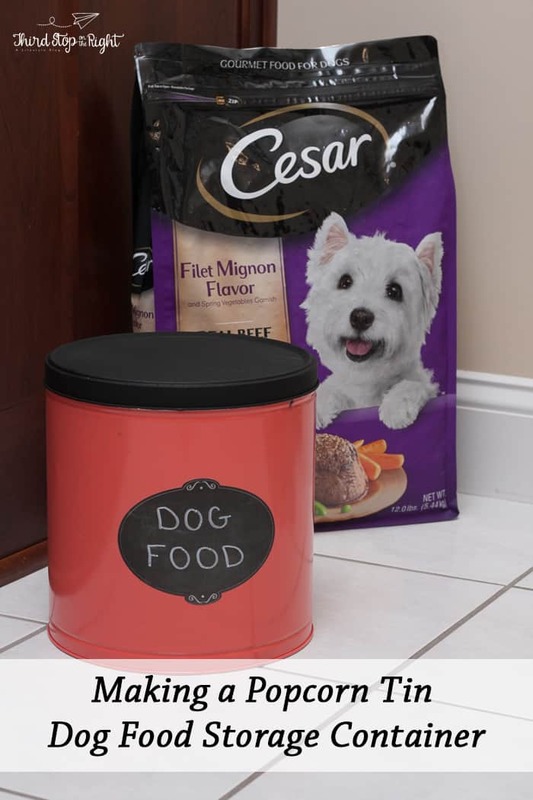 This dog food storage container is perfect for storing food, because let’s face it, food never stays fresh once you’ve opened the bag. This is why an air-tight container is a necessity. I started with one of those popcorn tins you get a gifts. Instead of just tossing the tin in the recycling bin, instead grab some spray paint and get started. I began by using a coral-colored spray paint to paint to pain the main part of the tin. Depending on what was on the tin, or how bold the design is, it might take several coats to completely cover the design on the tin. For me, it took three coats. I decided to get creative with the lid of the tin and spray painted it with black chalkboard paint. 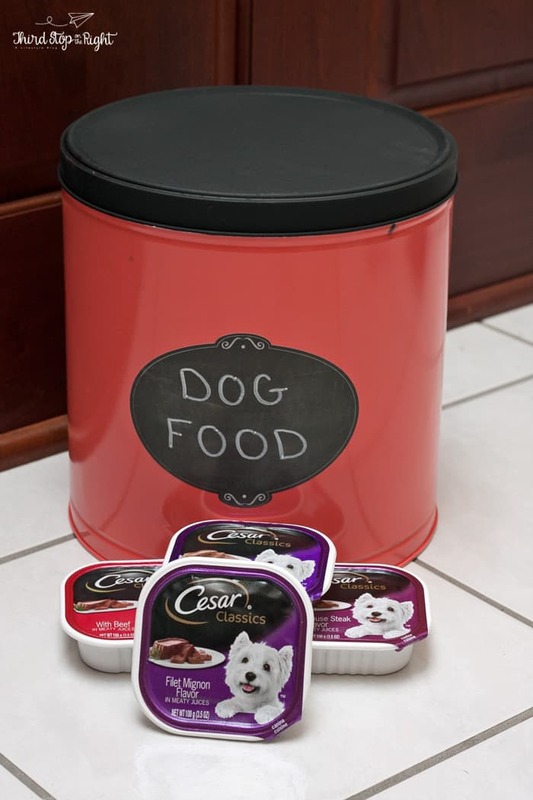 Now I can leave instructions for a pet sitter, or a reminder to buy more CESAR® dry dog food, right on the lid of the tin. Once all the layers of paint have dried, I added a large chalkboard sticker on the tin. 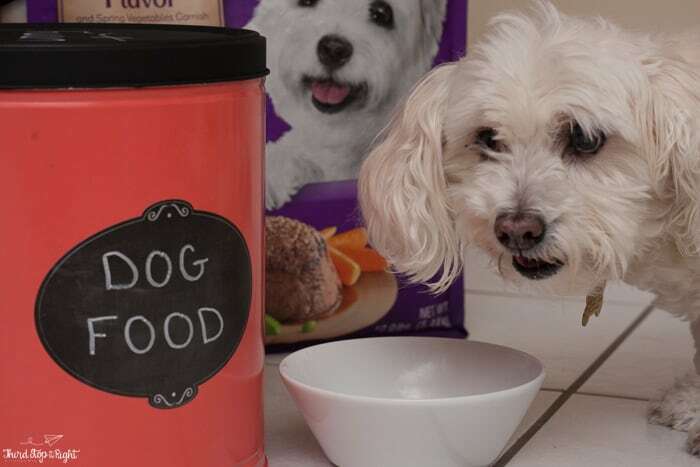 On it I wrote “DOG FOOD,” and of course filled it with dry food. I’m so excited that CESAR® dog food now comes in dry food This means even more combinations for Pooka. Since she is a small dog, I can give her either wet food from the CESAR® Pate Mixed Variety Pack or dry dog food as a meal. I can then give her wet food on special occasions. This lets me feed my dog like family, but keep her healthy at the same time. 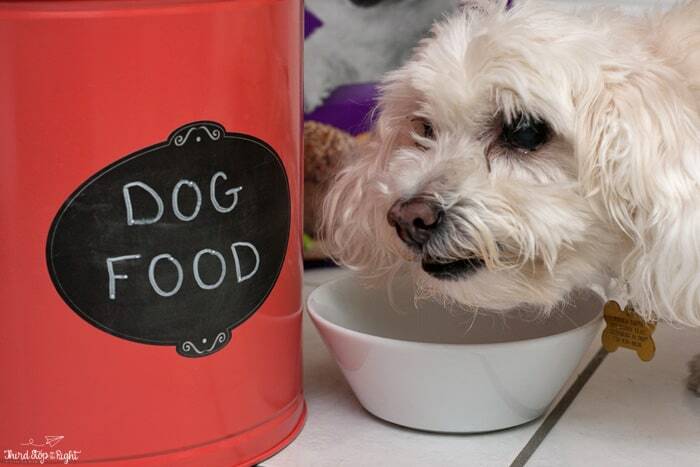 Mealtime is just as important for your dog as you. 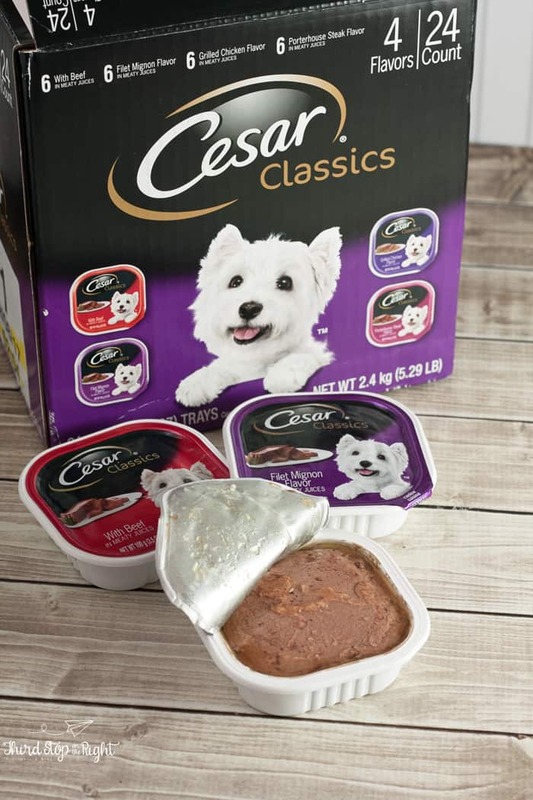 Now with CESAR® dry, it pairs perfectly with the CESAR® meals my dog already loves. 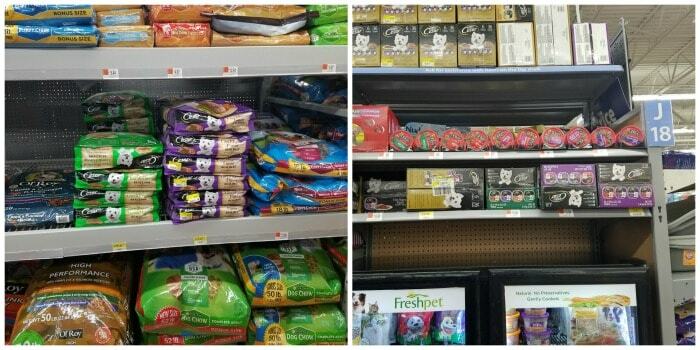 You can pick up CESAR® dry dog food, as well as a variety of CESAR® wet foods in the pet food section of your local Walmart. Comment On: How do you treat your furry friend like family? HELP!! 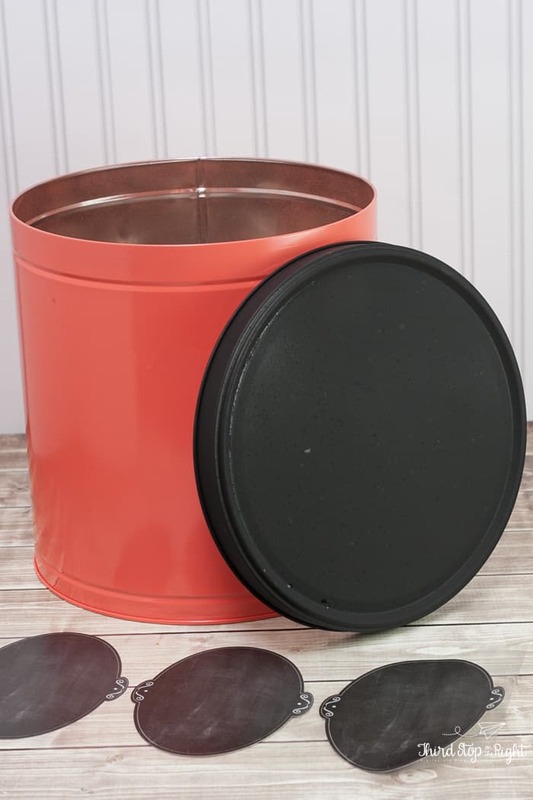 ive done this to a popcorn tin but have found out after all my hard work that the expensive krylon brand spray paint is chipping off easily. so I touched it up and then covered it in a clear glaze only to find it dried hazy and frosty looking. please advise how to make spray paint adhere to metal tin better. I have since sanded all the paint off!